Meal prepping has become a popular trend in the health and fitness world. Meal prep has many benefits when it is done correctly. It is not just for athletes or fitness gurus; it can be helpful to anyone! 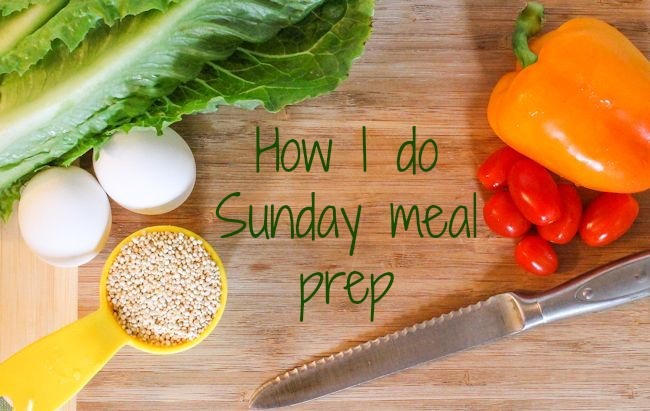 Meal prepping is traditionally done by purchasing food in bulk and cooking it all at once, distributing it among meal storage containers, storing them in the refrigerator, and reheating them for each meal each day for a few days. Meal prep can keep you from running to the closest fast food drive thru on your lunch break or skipping lunch completely because you had a busy morning and did not have time to pack a healthy lunch. It can also be detrimental. When cooking foods in bulk, you have to be careful with food sanitation and safety. When you are cooking several things at once, you are less likely to wash your hands frequently or check the temperature of your chicken to make sure it is cooked thoroughly. Also, when food is not being eaten right away and stored almost immediately, there are proper steps that must be followed to assure bacterial growth that causes food borne illness does not occur. Many people that I have talked to about meal prep say the biggest problem is that they aren’t in the mood for what they prepped that day. This problem is inevitable, but can be diminished by a few simple adjustments. Although it is easy to make the same thing, (chicken, rice, and broccoli for dinner 5 straight days) it is somewhat counterproductive to your health. Eating the same meals everyday provides a limited variety of vitamins, minerals, and nutrients your body needs to maintain and build muscle. Mixing up your meals with healthy proteins, carbohydrates, and fats will help you reach your nutrition and fitness goals quicker and more efficiently. Tip 1: Choose a day that works best and always prep on that day as if it were a scheduled event. Tip 2: Meal prep with your friends, your kids, and/or your significant other to make it fun and educational. Tip 3: Do not forget snacks. Tip 4: Plan ahead with recipes, a grocery list, and meal components. Tip 5: Use your CREATIVITY and spice it up. Tip 6: Take advantage of your freezer and not just your fridge. Tip 7: Choose foods that have a longer storage life and taste good reheated. Tip 8: Invest in a food scale to initially track your intake more accurately until you learn how to “eyeball” true portion sizes. Tip 9: Do not prep for more than 4 days. Tip 10: Balance your meals with protein, starch, fat, and vegetables.